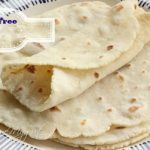 Gluten Free Tortillas are soft, flexible and delicious! The best grain free tortilla recipe! 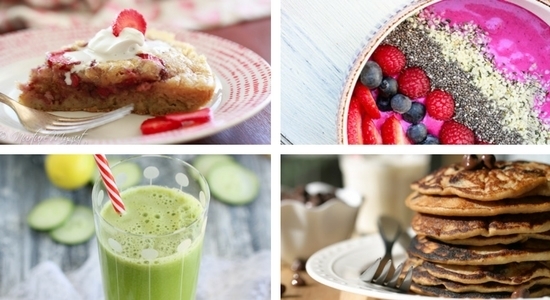 Gluten free, Dairy free and grain free. To a large mixing bowl orKitchenAid mixer using flat beater attachment, add blanched almond flour, tapioca flour, salt and xanthan gum. Whisk until all lumps are removed. Add honey and hot water slowly while mixing. Watch the dough incorporate and press the dough between your fingers. It should feel like soft play dough and not stick to your hand. Add more tapioca flour or hot water accordingly until you get the right texture. Dust your hands with tapioca flour and gather dough into a ball. Separate into 3 equal amounts, divide that into two more amounts. You should have 6 pieces of dough. Roll dough into 6 equal balls and store in a plastic wrap until ready to roll out. Dust surface with tapioca flour and place a ball of dough in the center. Press down slightly and more on edges. See photo above. Dust top of dough with tapioca flour and roll out with a wooden rolling pin to about 8 inches. Heat a cast iron griddle to medium low heat. When skillet is hot, add tortilla. Flip once bubbles have formed and fully puffed, about 45 seconds. Place in tortilla warmer until ready to serve to prevent them from getting stiff and repeat steps 4-8 with remaining dough. Store tortillas in a ziplock bag in the fridge until ready to use and reheat on a skillet before serving. Optional: Add a drizzle of olive or avocado oil to the mixture.